Tea has been consumed over centuries for its warmth, taste, its health benefits and, over time, it has developed culture and spiritual traditions. Today tea is the second most consumed beverage globally, right after water, and matcha, powdered tencha green tea is ever increasing in popularity. Matcha has numerous health benefits, it primarily works as a powerful antioxidant reducing oxidative stress systemically as well as bringing about a sense of calmness, clarity and mental awareness. It wakes the body up without causing jitters and overstimulation making you alert and ready to take on the new day ahead without any unnecessary anxiety. Matcha has numerous health benefits including, cancer inhibition, allergy relief effects, cognitive dysfunction, prevention effects on metabolic syndrome (Fujioka, K., et al., 2016). Matcha’s winning combination of catechins and caffeine have been shown to benefit women in weight loss in a 2017 study. 1 gram of premium quality matcha was consumed daily in the morning an hour or two before a 30 minute brisk walk was taken. This was done for a time period of a month or more and was beneficially shown to lower respiratory exchange ratio and exercise-induced fat oxidation (Willems, M.E.T., et al., 2017). The important thing to take note of is that the study utilized premium quality matcha or ceremonial matcha. A green tea latte from Starbucks is not going to cut it, nor will culinary green tea. I would suggest consuming a warm cup of matcha as soon as you get up to start off your morning routine. A 2018 study that reviewed the literature on the effects of green tea on adults found that the EGCG present in green tea and more abundantly in matcha aided in reducing body weight and or weight gain when diet and lifestyle were also addressed. If the diet was not changed the researched showed that the patient’s weight remained, for the most part, the same. The studies found that green teas catechins aided in increasing lipid oxidation, which aided in reducing inflammation and boosting immune function as well as increasing thermogenesis, which increases energy expenditure in the body (Hu, J., et al., 2018). Chronic stress has been shown to aid in the development of depression, mood disorders and other stress-related diseases – such as adrenal fatigue. The theanine present in matcha, enhanced by arginine 9the second most abundant amino acid in matcha, has been shown to reduce stress (Unno, K., et al., 2018). The combination of caffeine and theanine in Matcha has been shown to provide a positive cognitive effect (Giles, G.E., et al., 2017). A 2018 study from Japan has shown that 3 grams of good quality matcha daily in 500 ml of room temperature water can aid in suppressing anxiety, lower stress levels and aid int he prevention of adrenal fatigue. Thirty-two healthy 5th-year students from the University of Shizuoka, School of Pharmaceutical Sciences in Japan participated in the study. They were found to exhibit excitation the following morning, which was shown to aid in their stress recovery (Unno, K., et al., 2018). The combination of theanine and arginine aid in stress reduction, however high amounts of EGCG and caffeine contract their effect. True matcha will have a higher amino acid content and a lower level of the catechin EGCG. Although benefical for metabolism and improving weight loss, EGCG is not beneficial for reducing stress and balancing mood. EGC another catechin has a stress-reducing effect, however, it must be ten times higher than EGCG to be effective in Matcha for stress reduction. L-theanine, on the other hand, much be higher than caffeine for its stress-reducing benefit to be felt. 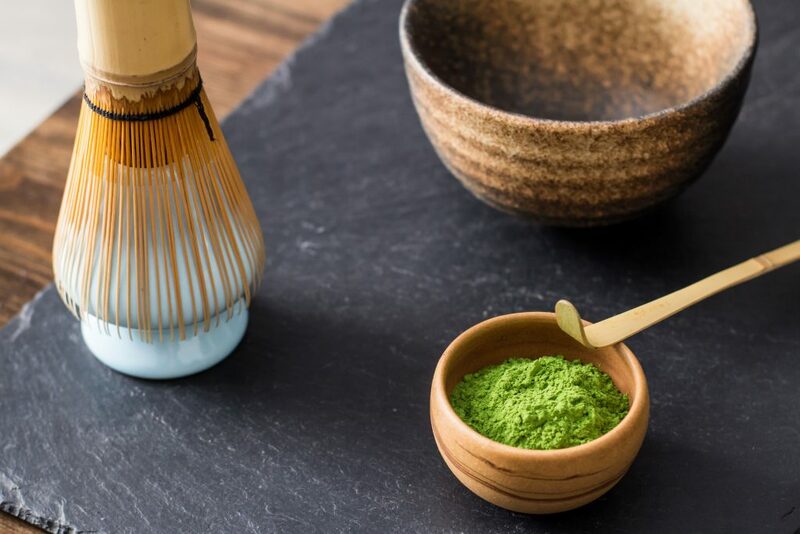 In Japan, 42% of Matcha sold reduces stress levels as it has a much higher theanine and Arginine content, whereas overseas most Matcha sold contains higher levels of caffeine and lower levels of theanine and arginine (Unno, K., et al., 2018). The combination of L-theanine, EGCG, and caffeine have been shown to positively impact mood and cognitive performance. A 2017 study published in Food Research International on the consumption of matcha beverages shown a great improvement in attention and response time of study participants. The study also looked at snack bars that contained 4g of matcha and found that they did not perform as well as the matcha beverage (Dietz, C., et al., 2017). A 2011 study from Japan showed that theanine, 5-6mg/kg, aided in reducing the occurrence of cerebral atrophy, learning impairments, behavioral depression and oxidative damage to the cerebral DNA. It has been shown that psychosocial stress accelerates ageing due to oxidative damage and can lead to cognitive dysfunction and depression. Theanine, found in Ceremonial Matcha has the potential to prevent this (Unno, K., et al., 2011). Oxidative stress occurs as a result of a build-up of free radicals, peroxides and a weakened defense system. With time oxidative stress builds up inflammation in the body leading to an increase in chronic inflammatory disease such as cancer, diabetes, cardiovascular, pulmonary and neurological diseases (Reuter, S., et al., 2010). Certain foods can lead to free radical generation and oxidative dysfunction, therefore functional foods are needed so as to promote wellbeing. Antioxidants, like matcha aid in preventing free radical formations in the body (Asadi, N., et al., 2017) (Burcus, A., et al., 2018). Powdered matcha tea has a much better scavenging ability on the production of reactive oxygen species making it effective at quenching ROS, inhibiting blood glucose accumulation and stimulating lipid metabolism (Farooq, S., et al., 2018). Matcha has been shown to be effective at combating different types of tumors and cancer -stem-like cells by targeting the cell and down-regulating oxygen consumption rates and extracellular acidification rates. Matcha has also shown great potential in aiding to overcome cancer cell resistance to chemotherapy (Lorenzo, J.M., 2016). Endoplasmic Reticulum (ER) Stress leads to imbalances in cell function, ultimately leading to cellular death and the possible risk of ER stress-related disorders such as atherosclerosis. Matcha has been shown to have a positive effect on ER stress in monocytic cells, by imposing inhibitory effects on ER stress induced by thapsigargin (Takeuchi, I., et al., 2018). Alcohol consumption, when abused or consumed with poor liver function, can result in damage to the DNA of the body, particularly the mitochondria DNA, and increased levels of oxidative stress as a result of the reactive oxygen species present in ethanol leads to a decrease in the functioning and strength of the immune system and antioxidant defence system resulting in the increase of disease, such as cancer, gastritis etc. mDNA D-loop (displacement loop) is the key regulator site for mDNA and it is highly prone to oxidative damage and as a result is easily mutated. The mutation and damage to mDNA have been shown through various studies to increase the development of disease in individuals. Alcohol consumption increases oxidative stress and damage (Sharma, H., et al., 2005). Alcohol abuse, as well as prolonged daily alcohol consumption, has been shown to increase mDNA mutation. In a 2017 study on rats, rats that were given alcohol developed D-loop mutations whereas rats given green tea catechins ( the highest content found in ceremonial matcha) along with alcohol did not develop any mutations and had far less oxidative stress (Reddyvari, H., et al., 2017). Oxidative stress greatly affects testicular function. Testicular oxidative stress can be caused by testicular torsion (a rare disease affecting testicular blood flow), high testicular temperature, diabetes, infections, hyperthyroidism, old age, hormonal imbalance and toxic exposure. Free radical damage can cause articular occultation, resulting in cellular damage to the reproductive system and leading to defects in spermatogenesis. Matcha, a potent antioxidant aids in preventing free radical formation in testicular cells as well as reducing oxidative stress on sperm morphological characteristics. Free radical damage and oxidative stress greatly affect sperm fertility. Oxidative stress also leads to an increase in DNA breakdown, negatively impacting the integrity and accuracy of DNA transfer from generation to generation. Consumption of high-quality Matcha has been shown to reduce free radical damage and oxidative stress, leading to an improvement of testicular function (Asadi, N., et al., 2017). The polyphenol content in matcha has also been shown to dimish the risk of diabetes, cancer and coronary heart disease, which can all aid in the development of testicular oxidative stress. Long-term use of matcha as a beverage is essential at preventing oxidative damage and reducing reactive oxygen species (ROS)that can lead to male infertility and reduced sperm function as it is a scavenger for ROS and it aids in increasing the antioxidant strength of human plasma (Nahid, Z., et al., 2016). Matcha has health benefits for your dog. 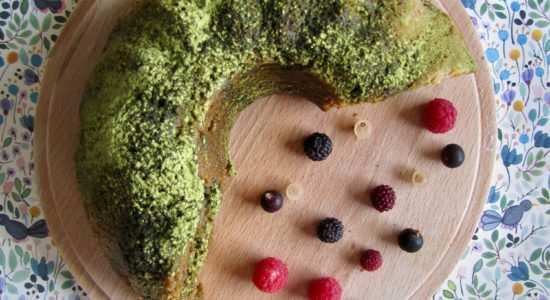 Matcha powder can aid in reducing plaque formation on dogs after one month of use. The benefit has been shown to both reduce plaque index and plaque thickness by between 22-37% (Lindinger, M.I., 2016). The introduction of matcha to Japan was the most important historical event of tea drinking for the Japanese society. Matcha did not originate in Japan, but its art and production were perfected there and to this day Japan produces the worlds best tencha green tea powder (eds. Varley, H.P., et al., 1989). Tea has been consumed in China for over 1500 years, in the Sung Dynasty (960-1280 BC) tea began to be consumed in the form of a powder. The dried tea leaves would be milled into a fine powder and would often be compressed into bricks as a way of storage and currency. When consumed as a tea the powder would be whipped with hot water using, not a bamboo whisk but a bamboo bristle brush, a pinch of salt would be added to enhance the flavour and it would be enjoyed (Ukers, W., 2017). Tea was first presented to Japan in 727 BC as a gift from China’s T’ang Court to the Japanese Emperor Shomu. Tea shrub seeds were planted in the imperial gardens of Heian, modern-day Kyoto, which grow there to this day (Campbell, D., 1995). Jojin a Tendai priest from Japan, visited China during the 11th-century with his disciples. In China they were introduced to tea, Matcha was served or gifted to them when they visited the Emperor Shen Tsung, temples or government offices. After Jojin passed away in China’s then-capital K’ai-Feng, his disciples returned to Japan with tea, among them was Matcha, which at the time was pressed into a brick, to serve it one would just need to crumble a bit into a bowl, pour hot water over top and use a tea brush to dissolve the powder. However, at the time it did not become as fashionable as it was in China and soon tea drinking in Japan stopped completely. Matcha was brought to Japan again this time by Eisai from Sung China during the early Kamakura period which was towards the end of the 12th century. Tea consumption in Japan spread from practices in Buddhist temples such as bukucha, which was the offering of tea to the Buddha. Shinto also celebrated tea, with temples giving offerings to their Kami. In the mid-thirteenth century in Japan, temples as a way to restore their fortunes would organize tea gatherings called ochamori. In the beginning, these would only involve priest drinking tea at the temple but it quickly moved to involve the surrounding community. Today it is a celebration that can be participated in by anyone (eds. Varley, H.P., et al., 1989). In Japan, the cultivation of Camellia sinensis, the evergreen tea shrub is mainly done in the southern regions of the country. The tea plant requires a warm climate (temperatures averaging between 11.5-18 C with a good amount of rainfall and soil that is well draining. Higher temperatures may yield more tea leaves but the quality of them is far lower then leaves grown in a slightly cooler climate (eds. Hara, Y., et al., 2017) (Saberi, H., 2010). The tea plant grows from March to November and the leaves can be harvested between 2-4 times a year, dependant on the variety of the plant and the variety of tea produced. Each harvest period takes about two weeks for harvest and happens about 4-6 weeks apart. All matcha is made through the milling of tencha leaves which provides a tea devoid of astringency (Heiss, M.L., 2007), although sencha and gyokuro can also be used to make powdered tea, they do not produce matcha instead they produce konacha. Tencha (along with Gyokuro) is shade grown using nets called Tana, a process that began around the 15th or 16th century in Japan. The tea shrubs are shaded about 90% for 2 weeks followed by 40-50% shade coverage for 1-2 weeks before harvesting, the process averages around 20-30 days (eds. Ho, C.T., et al., 2009). The shading of the tea shrub cannot occur to quickly as the leaves will not be as nourishing and the flavour will be weak. If it occurs too late the flavour will be less umami and more bitter and weak. Shade grown tea reduces astringency providing earthy sweetness (Heiss, M.L., 2007), increases not only chlorophyll but also the amino acid l-theanine and the umami savoury flavour. Umami is not a fishy flavour, although seaweed and fish also carry a savoury flavour, so do tomatoes and Parmigiano Reggiano cheese which do not taste fishy but savoury. 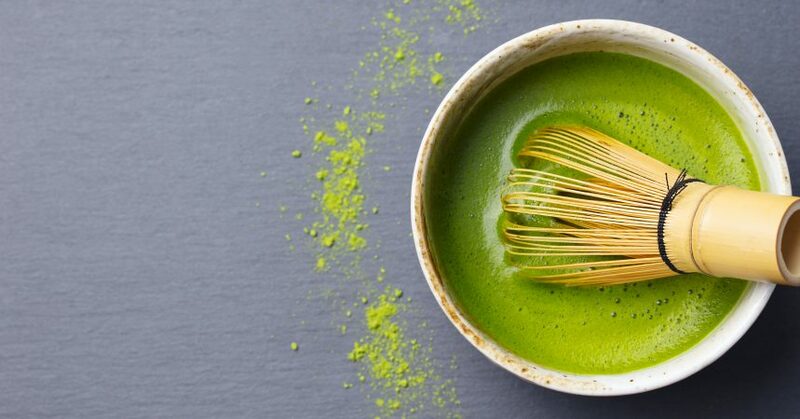 Umami provides matcha with a full body taste (eds. Hara, Y., et al., 2017). The first crop harvested also known as the first flush produces the highest quality of tencha tea which is later milled into matcha powder, this is done around late April to mid-May. The second and third flush, sometimes there is even a fourth flush of matcha that is able to be produced, are of far lower quality and have far fewer properties and antioxidants than the first flush (eds. Hara, Y., et al., 2017). 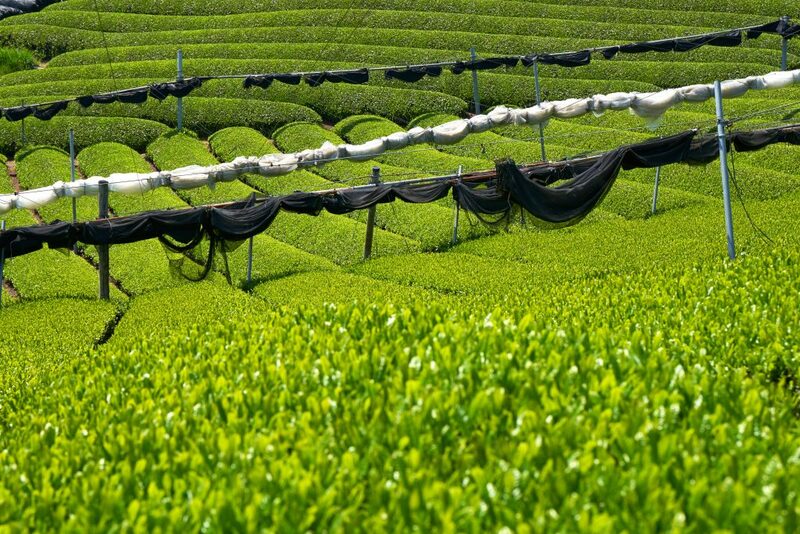 The first harvest of tea leaves also produces almost twice as much as the later harvests. It is important for there not to be a delay in harvesting of the leaves as it will result in a significant reduction in the quality of tea they produce (ibid). The leaves, when picked, begin to oxidize quickly and ferment, therefore it is important that the processing of them is done immediately after harvesting to retain their nutritional content and colour (eds. Hara, Y., et al., 2017). Matcha is always made with tencha. Tencha, ten means mortar or grind, cha meaning tea. Tencha production can be said to be a variation of gyokuro production but slightly different. Tencha leaves are not rolled after steaming and drying, unlike gyokuro. The steaming is a quick process lasting 30 seconds and no more, a deeper steam (between 60 seconds to 120 seconds) will result in a deeper and more cloudy green colour with is becoming more popular in Japan. The tencha leaf is flat, making it easier to strip the veins off after the leaf has been steamed and dried and before it is milled. The remaining leaf is now perfectly suitable for the making of matcha. Sencha leaves can also be milled into powdered tea, however, it will not make matcha, it is used to make agari or koncha, which is also powdered tea. It is often served at sushi restaurant as a palate cleanser (Heiss, M.L., et al., 2007). Millstones were used in China in the 11th century and the 14th century in Japan (Fujioka, K., et al., 2016). Today powdering of green tea is done by several different techniques, ceramic mills, ball mills and mixers. Ceramic mills have been shown to produce the finest powder (Fujioka, K., et al., 2016). China and Vietnam also produce matcha green tea. Japan is the greatest Global Producer Of Matcha. Kyushu is the third largest and the most southern island that makes up Japan. The area has been producing tea for centuries. Kagoshima city and prefecture has the ideal climate for growing tea in Japan. 15 distinct varieties of tea are grown there, on approximatly 8000 hectares of land. Matcha is produced in Kagoshima by using the young leaves of the sakura-jima tea bush to produce tencha and grind it down into fine tea powder. The region uses both steaming and pan frying of tea leaves to produce green tea. Kamairi-cha is produced using the Chinese method of pan frying for example (Heiss, M.L., et al., 2007). Honshu is the largest island that makes up Japan, containing most of the countries prefectures (such as Tokyo, which is both a city and a prefecture). Within the Kyoto Prefecture is the city of Uji, located to the south of Kyoto. It is home to the worlds most famous and oldest tea gardens, which produce Japan’s most expensive and exclusive green tea. Uji is famous for the production of Gyokuro, Sencha and Matcha teas. Kyoto historically moulded and perfected the art of tea in Japan and today is home to the best tea schools within the country and around the world (Heiss, M.L., et al., 2007). Aichi prefecture produces premium matcha tea. Found in central Honshu (ibid). Dazaifu prefecture produces matcha uchiyama (Aster, 2016). Tea is classified by size, colour, aroma, flavour and the appearance of the tea leaf. These classifications differ slightly for matcha tea. One of the most important classification tools is the age of the tea bud. The younger the leaf the higher quality the matcha is produced, this is referred to as first flush or ceremonial grade matcha. 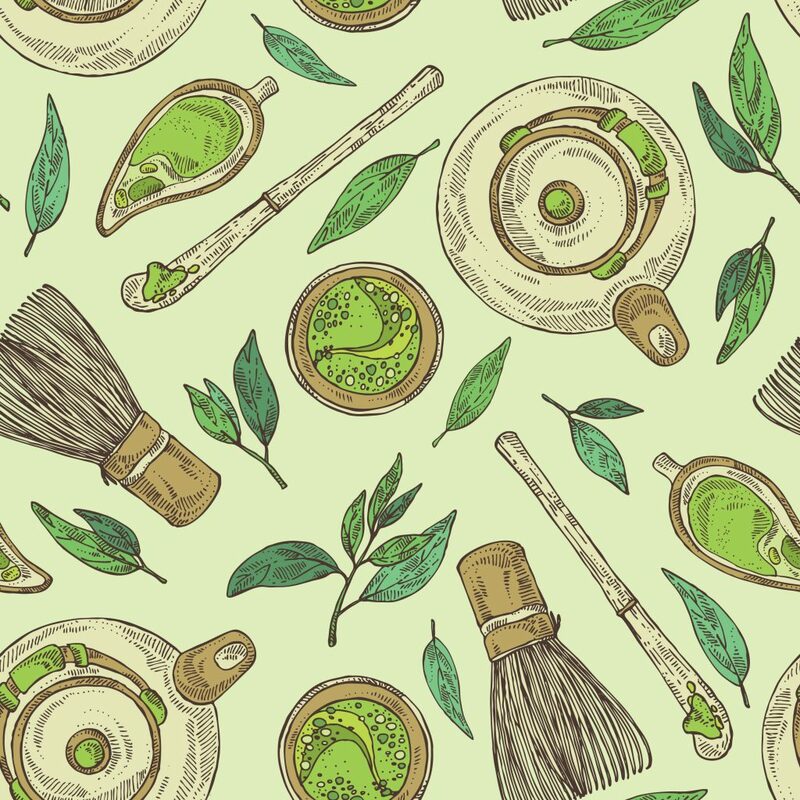 The taste and aroma of green tea differed from other teas, as does premium matcha compared to summer harvest matcha, or even looking at matcha and different varieties of powdered green tea such as koncha (powdered sencha and gyokuro). Japanese matcha has a high amount of l-theanine, arginine and chlorophyll making it easier to distinguish taste and nutrient wise from other forms of green tea, such as those produced in China (Saberi, H., 2010). Koncha, known as tea powder also called agari is made from the leftover bits from the processing of both sencha and gyokuro. It is a palate cleansing tea that is often served at Sushi restaurants to prepare the taste buds for different flavours. Matcha contains a higher amount of chlorophyll then sencha and has less of a conversion of chlorophyll to pheophytins – which is predominantly seen in low-grade matcha. A high-grade matcha will have about 370 mg of chlorophyll per 100 grams of matcha with a conversion to pheophytin at less than 30%. Higher grade matcha will also have fewer catechins, as they contribute to bitterness and astringency to the tea. EGC content is low in ceremonial matcha, as it is predominantly found in ageing tea leaves, the shading of tencha and the plucking of young buds and leaves prevents this from occurring and results in a more sweet, grassy and savoury tea. High-quality matcha will have 2.3 grams or less of EGC or EGCG per 100 grams of Matcha powder. In Japan, raw young tea leaves that have been shade grown for a few weeks are steamed to inactivate enzymes, dried in a special drier “tencha-ra” and ground to produce the highest grade matcha. Pan frying can also be used to prepare the leaves, however this method, popular in China leads to a greater loss of chlorophyll. This also allows for a higher amino acid profile. For every 100 grams of matcha, there should be 1,500 mg of theanine and 330 mg of arginine or more (Horie, H., et al., 2018). Other things you want to look for a vacuum packed seal in a tin, to ensure maximum freshness. If you contact the supplier they should let you know how they store their matcha before its sale – it should be refrigerated. Green Powdered tea has become far more popular than sencha (which is the most popular tea drunk in Japan) or gyokuro (which is the highest grade of green tea) outside of Japan. The international market has grown from 100,000 tins in 1990 to 350,000 in 2013, America being the highest consumer. A 2018 study from Japan wanted to see how many “Matcha” labelled teas in the United States were the real deal, a whole lot of them were not. The highest grade matcha is rich in theanine and arginine, due to the fact that tencha is shade grown for a period of time. it has a lower catechin content than other none-shaded green teas and a rich supply of chlorophyll. 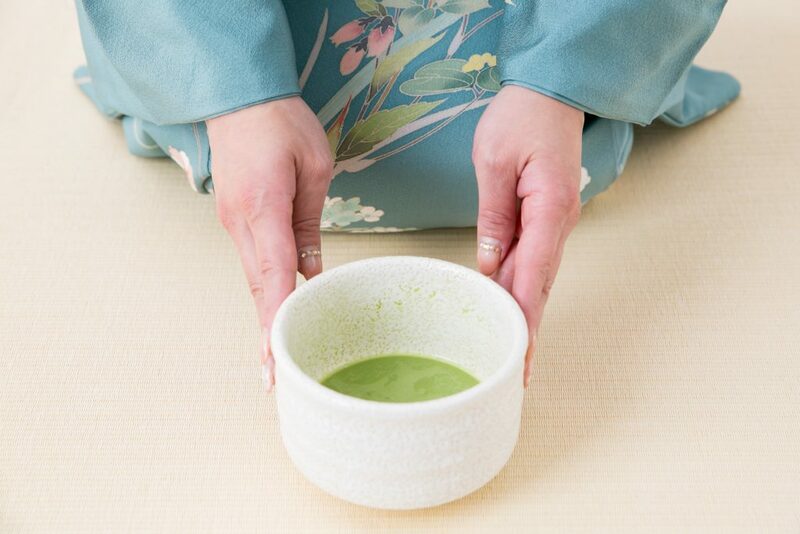 Outside of Japan, there is no distinction between powdered green teas, they are all labelled Matcha, some may say culinary grade others ceremonial grade, some may specify the time of harvest. In Japan Matcha is known as traditional ceremonial tea, all lower grade powdered teas are simply known as “powdered green tea”. There are no official chemical requirements for grading “powdered green tea”, however high-grade matcha, colour and taste are very important (Horie, H., et al., 2018). Lower grade matcha will have a much duller green colour, on account of less chlorophyll content and a higher conversion of chlorophyll to pheophytins. Low-grade matcha will have approximatly 120 mg or less of chlorophyll per 100 grams of matcha powder with a conversion to pheophytins of more than 50%. The conversion of chlorophyll to pheophytin show a deterioration of colour and an increase in oxidation. The conversion is increased by the over steaming of the tea leaves before grinding as well as improper storage of the powdered tea. It will have a high amount of EGC and EGCG about 5.9-7.1 grams per 100 grams of matcha (which can be beneficial for individuals looking to lose weight). In terms of amino acid content, which provides true matcha with its beautiful and bold umami flavour, fake matcha is rather low in this regard, with 700mg of less of theanine and 100mg or less of arginine for 100 grams of powder (Horie, H., et al., 2018) (Yu, X.L., et al., 2018). The most important aspect of tea drinking in Japan is Chanoyu or Chado also known as the Way of Tea (cha=tea, do=way) or the Tea Ceremony. It is the embodiment of the art of tea both in the drinking of it and the practice that accompanies it (eds. Varley, H.P., et al., 1989). The tea ceremony influenced culture and customs throughout Japan, it impacted calligraphy, gardens, flower arrangement, architecture – the building of palaces, homes, temples etc, it influenced art, music and ceramics (Saberi, H., 2010). Chanoyu was coined during the Nambokucho and Muromachi period around the mid 14th century, it was also during this time that a specific set of principles or Sarei where outlined to provide structure to the practice. These include; Discrimination (mono-suki) which looked at the relationship between people and utensils and their attachment to them, Behaviour (furumai) which focused on one’s self-representation at the tea ceremony and Setting of the tea room (Charhitsu) (eds. Varley, H.P., et al., 1989). The tea ceremony takes place in a separate pavilion, known as the Chashitsu. It is often reached by walking through a garden that is meant to symbolize a mountain path. A meal that represents both land and sea, cha-kaiseki, is served before the tea ceremony, as one should not consume matcha on an empty stomach. With the serving of the powdered green tea, a selection of sweets, wagashi, is served to offset and counterbalance the bitterness and umami of the matcha (Saberi, H., 2010). There are two consistencies of matcha that can be made and both are used during Chanoyu. The first is koicha, which is a thick and paste-like matcha drink. The second and most common outside of the Japanese tea ceremony is usucha, which is a thin tea that is vigorously whisked to a foam on top (Sanmi, S., 2005). Chanoyu begins with the making of koicha, the thicker green tea drink, which is made by kneading the powdered tea with hot water. It is very strong in taste, with a bitter flavour and is awakening to the senses. The second tea usucha is made after everyone participating in the tea ceremony has drunk their koicha. 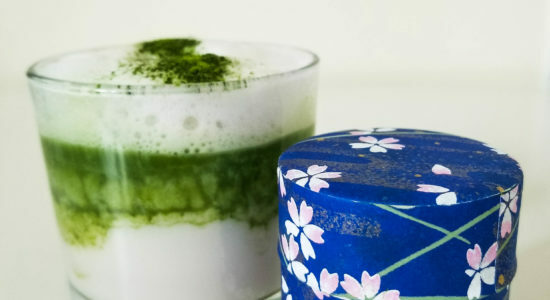 Usucha is a foamy infusion of matcha and water, whisked together vigorously with a chasen. 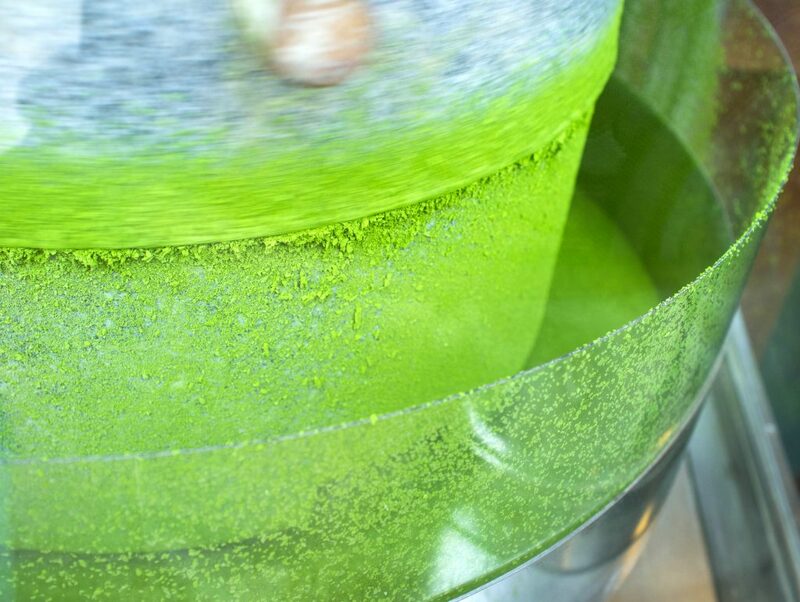 The whisking process along with the ceremonial grade of matcha produces a jade-like green colour, a light foam on top and a delicious tasting tea (Saberi, H., 2010). The way of tea, Chado or Chanoyu have specific utensils for the practice of the tea ceremony. These utensils are specific to the making of matcha and are rarely used outside the tea ceremony. Making matcha at home you can use these as well or replace them with other everyday items. Chawan is an unglazed matcha bowl, as the inside of the bowl is unglazed it makes it easier for the matcha to dissolve. Chasen is the bamboo whisk used to whisk and froth matcha (cha = tea, sen = whisk). 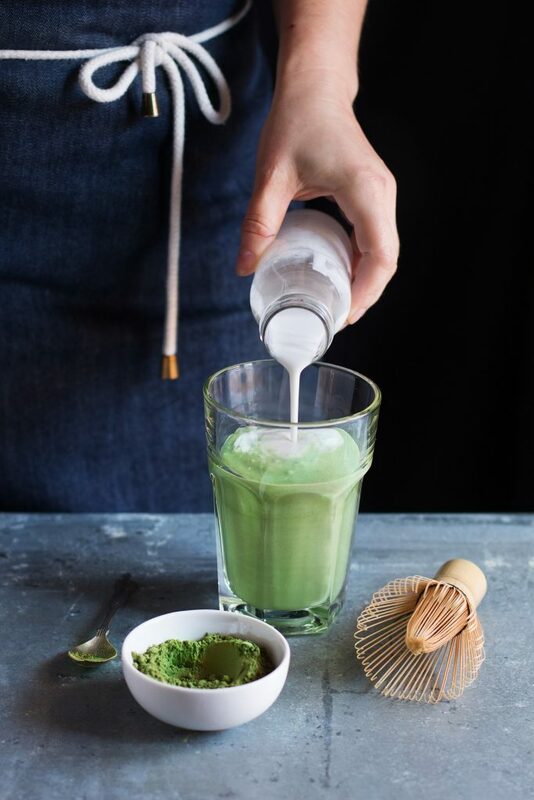 The chasen is considered the perfect tool to make matcha. Bamboo is durable, and once dried it does not compromise the taste or smell of the matcha. The size of the chasen varies from 60 tines to 240. The more tines in the whisk the better the tea will froth. Traditionally made in Takayama, a small town in the prefecture of Nara from Hachiku bamboo, which is the most suitable variety of bamboo for making chasen. After over 400 years of production, today approximately 90% of all bamboo whisks in Japan are still made in Takayama, however, production is declining as a result of competition from China. Chinese bamboo whisks are far cheaper, however, the quality is also poorer, as the bamboo used is not as durable and the whisk is much more flimsy – you will not this by its inability to stay in perfect form, the bamboo whisk will start to lose its shape(ed. McWilliams, M., 2014). Chasaku is a Bamboo Tea Spoon or scoop. It is a specially made scoop that measures out the appropriate amount of matcha tea powder. The major components of this delicious jade beverage are catechins which provide antioxidant activities, amino acids such as l-theanine and saponins. Matcha powder is also very rich in beta-carotene, high in B vitamins, Ascorbic Acid form of Vitamin C, Vitamin E, rich in flavonoids (Vitamin P) and methionine S-methyl sulfonium (MMS). (eds. Hara, Y., et al., 2017). Matcha has a high antioxidant action due to the elevated levels of phenolic content. The antioxidant content in matcha is preventative and can lead to a decrease in oxidative reactions by lowering the local oxygen concentrations and increasing the scavenging of free radicals in the body (Lorenzo, J.M., et al., 2016). It is the presence of certain amino acids that gives matcha green tea its umami flavour. L-theanine gives a sweet and savoury tone to the ground tea leaf. Theanine promotes relaxation and a reduction of stress. Unlike coffee or black tea that pumps up the body with caffeine, matcha brings about a feeling of alert calmness and awareness that is not overwhelming (eds. Hara, Y., et al., 2017). The theanine levels in green tea are dependant on the nitrogen content in the soil which is absorbed through the roots. Because matcha is made from tencha, a shade grown tea, the theanine in the young shoots remains high as the hydration of the amino acid used during photosynthesis occurs far less. Tencha that is grown for Japanese tea Competitions uses mackerel fish as compost so as to be able to nourish the tea shrub as much as possible and properly develop the theanine content in the plant, leading to a heightened umami flavour. (Unno, K., et al., 2018). Accounting for between 5-15 % of the dry weight of matcha, this group of plant secondary compounds are responsible for the astringency of green tea. 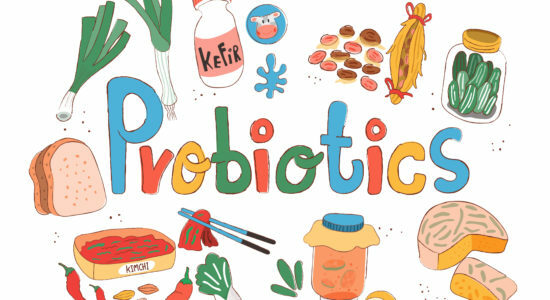 Because matcha, along with other forms of green tea, is not fermented it has a higher concentration of catechins than fermented teas such as black tea (eds. Hara, Y., et al., 2017). There are four major catechins present in this form of green tea, epicatechin (EC), epigallocatechin (EGC), epicatechin gallate (ECG) and epigallocatechin gallate (EGCG). The grinding down and powdering of tencha leaves increase the catechin content, particularly that of EGCG. Caffeine content is also increased. The estimated amount per a 600 ml cup of powdered matcha is about 183.2 +/- 19.8 mg of EGCG and 138.1 +/- 17.7 mg of Caffeine (Fujioka, K., et al., 2016). Due to being shade grown the catechin content in pure matcha is much less than in other green teas (Unno, K., et al., 2018). Also present in Matcha are polyphenols. These compounds are exceptionally useful for one’s health as they are therapeutic health benefits against a number of imbalances and diseases of the body ranging from oxidative stress, cancer, diabetes, cardiovascular disease etc ( Reddyvari, H., et al, 2017). Caffeine is an alkaloid. It provides the stimulating effect of matcha green tea, preventing drowsiness (eds. Hara, Y., et al., 2017). Unlike other green teas, matcha’s caffeine content is much higher, due to the fact that the buds and young leaves of the tea plant contain more caffeine (Unno, K., et al., 2018). Caffeine content, 3.77% (Fujioka, K., et al., 2016). In 2018 there was a review of literature that had looked into the effects of green tea, particularly infusions high in catechins that could potentially interact with cardiovascular medication, either making it more or less potent. However, after evaluating numerous studies, no conclusive findings were discovered. The low and moderate consumption of green tea or matcha do not pose any negative interactions with medication (Werba, J.P., et al., 2018). Asadi, N., Bahmani, M., Kheradmand, A., Rafieian-Kopall, M. (2017). The Impact of Oxidative Stress on Testicular Function and the Role of Antioxidants in Improving it: A Review. Journal of Clinical and Diagnostic Research. Volume 11, Issue 5, page 1Eo1 -1EO5. Online Available at PubMed. Aster. (2016). 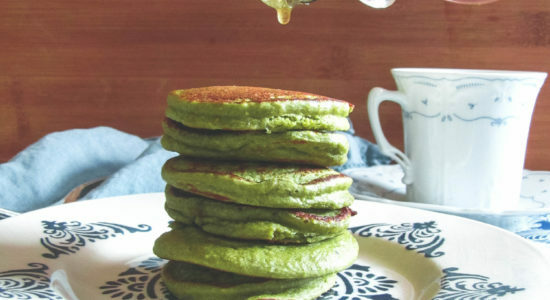 The Matcha Cookbook. Octopus Books. Burcus, A., Vamanu, E., Sarbu, I., Petre, A. (2018). Antioxidant, Anti-inflammatory and Antibacterial Potential of Different Drinks Based on Matcha Tea. IOP Conference Series. Materials Science and Engineering. Volume 374. Available Online at IOPScience. Campbell, D. (1995). The Tea Book. Pelican Publishing: New York. Dietz, C., Dekker, M., Piqueras-Fiszman, B. (2017). An Intervention study on the effects of matcha tea in drink and snack bar format, on mood and cognitive performance. Food Research International. Volume 99, Issue 1, page 72-83. Online Available at PubMed. Farooq, S., Sehgal., A. (2018). Antioxidant Activity of Different Forms of Green Tea, Loose Leaf, Bagged and Matcha. Current Research in Nutrition and Foor Science. Volume 6, Issue 1, pages 35-40. Fujioka, K., Iwamoto, T., Shima, H., Tomare, K., Saito, H., Ohtsuka, M., Yoshidome, A., Kawamura, Y., Manome, Y. (2016). The Powdering Process with a set of Cermin Mills for Green Tea Promoted Catechin Extraction and the Ros Inhibition Effect. Molecules. Volume 21, Issue 4, page 474. Online Available at PubMed. Giles, G.E., Mahoney, C.R., Brunye, T.T., Taylor, H.A., Kanarek, R.B. (2017). Caffeine and Theanine exert opposite effects on attention under emotional arousal. Canadian Journal of Physiological Pharmacology. Volume 95, Issue 1, pages 93-100.
eds. Hara, Y., Yang, C.S., Isemura, M., Tomita, I. (2017). Health Benefits of Green Tea: An Evidence-Based Approach. CABI, Oxfordshire. Heiss, M.L., & Heiss, R.L. (2007). The Story of Tea: A Cultural History and Drinking Guide. Random House: New York. eds. Ho., C.T., Lin, J.K., & Shahidi, F. (2009). Tea and Tea Productions: Chemistry and Health-Promoting Properties. CRC Press: New York. Horie, H., Ema, K., Nishikawa, H., Nakamura, Y. (2018). Comparison of Chemical Components of Powdered Green tea Sold in the US. Japan Agricultural Research Quarterly. Volume 52, Issue 2, pages 143-147. Hu, J., Webster, D., Cao, J., Shao, A. (2018). The safety of green tea and green tea extract consumption in adults – Results of a systematic review. 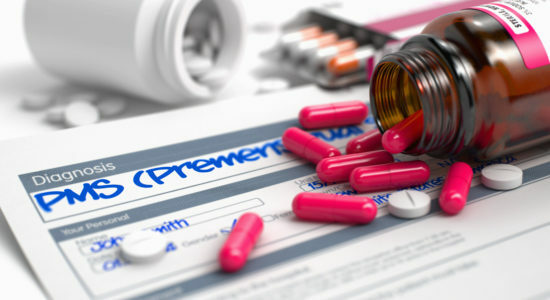 Regulatory Toxicology and Pharmacology. Volume 95, Pages 412-433. Online Available at PubMed. Lindinger, M.I. (2016). Reduced Dental Plaque Formation in Dogs Drinking a Solution Containing Natural Antimicrobial Herbal Enzymes and Matcha Green Tea. Scientifica. Volume 2016. Page 8. Online Available at PubMed. Lorenzo, J.M., Munekata, P.E.S. (2016). Phenolic Compounds of Gren Tea: Health Benefits and Technological Applications of Food. Asian Pacific Journal of Tropical Biomedicine. Volume 6, Issue 8., pages 709-719.
ed. McWilliams, M. (2014). Food and Material Culture: Processing of the Oxford Symposium on Food and Cookery 2013. Prospect Books: Devon. Nahid, Z., Tavakol, H. S., Abolfazi, G.K., Leila, H. Negar, M., Hamed, F., Akram, R. (2016). Protective Role of Green tea on malathion-induced testicular oxidative damage in rats. Asian Pacific Journal of Reproduction. Volume 5, Issue 1, pages 42-45. Online Available at ScienceDirect. Reddyvari, H., Govatati, S., Matha, S.K., Korla, S.V, Malempati, S., Pasupuleti, S.R., Bhanoori, M., Nallanchakravarthula, V. (2017). Therapeutic effect of green tea extract on alcohol-induced hepatic mitochondrial DNA damage in albino wistar rats. Journal of Advanced Research. Volume 8, Issue 3, pages 289-295. Online Available at PubMed. Reuter, S., Gupta, S. C., Chaturvedi, M. M., & Aggarwal, B. B. (2010). Oxidative stress, inflammation, and cancer: how are they linked?. Free radical biology & medicine, 49(11), 1603-16. Online available at PubMed. Saberi, H. (2010). Tea. A Global History. The Edible Series. Reaktion Books Ltd. London. Sanmi, S. (2005). Chado the Way of Tea: A Japanese Tea Master’s Almanac. Turtle Publishing: Tokyo. Sharma, H., Singh, A., Sharma, C., Jain, S.K., Singh, N. (2005). Mutations in the mitochondrial DNA D-loop region are frequent in cervical cancer. Cancer Cell International. Volume 5, Issue 34. Online Available at NCBI. Takeuchi, I., Kichimoto, Y., Tanaka, M., Iwashima, T., Taguchi, C., Saita, E., Kondo, K. (2018). Effects of Matcha on Endoplasmic Reticulum Stress Markers in Monocyctic Cells. Atherosclerosis Supplements. Volume 32, page 126. Unno, K., Fujitani, K., Takamori, N., Takabayashi, F., Maeda, K., Miyazaki, H., Tanida, N., Iguchi, K., Shimoi, K., Hoshino, H. (2011). Theanine intake improves the shortened lifespan, cognitive dysfunction and behavioural depression that are induced by chronic psychological stress in mice. Free Radical Research. Volume 45, Issue 8, page 966-974. Online Available at PubMed. Unno, K., Furushima, D., Hamamoto, S., Iguchi, K., Yamada, H., Morita, A., Horie, H., Nakamura, Y. (2018). Stress-Reducing Function of Matcha Green tea in Animals Experiments and Clinical Trials. Nutrients. Volume 10, Issue 10, page 1468. Werba, J.P., Misaka, S., Giroli, M.G., Shimomura, K., Manuela, A., Simonelli, N., Vigo, L., Tremoli. (2018). Update of green tea interactions with cardiovascular drugs and putative mechanisms. Journal of Food and Drug Analysis. Volume 26, Issue 2, pages S72-S77. Online Available at PubMed. Willems, M.E.T., Sahin, M.A., Cook, M.D. (2017). Matcha Green Tea Drinks Enhance Fat Oxidation During Brisk Walking in Females. Human Kinetics Journal. eds. Varley, H.P., Kumakura, I. ( 1989). Tea in Japan: Essays on the History of Chanoyu. University of Hawaii Press: Hawaii. Yu, X.L., He, Y. (2018). Fast nondestructive identification of steamed green tea powder adulteration in matcha by visible spectroscopy combined with chemometrics. Spectroscopy Letters. Volume 51, Issue 2, Pages 112-117.